A bench of Justices S Muralidhar and I S Mehta, however, upheld the life imprisonment awarded to the third convict by a trial court in the case. NEW DELHI: Holding that the crime did not comes under the category of rarest of rare which warrants capital punishment, Delhi High Court on Thursday reduced to life sentence the death penalty awarded to two of the three convicts in the 2009 business executive Jigisha Ghosh murder case. A bench of Justices S Muralidhar and I S Mehta, while modifying the death penalty awarded to Ravi Kapoor and Amit Shukla, confirmed the life sentence to the third convict, Baljeet Malik, pronounced by the trial court. “The court is not satisfied that the crime here can be characterised as rarest of rare that warrants the award of the death penalty for Kapoor and Shukla,” the bench said. The High Court, however, upheld the fine imposed by the trial court on the three. 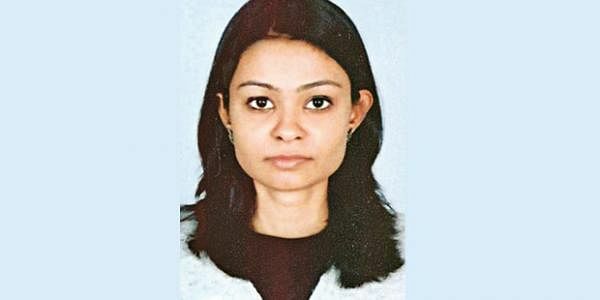 Jigisha, 28 a manager in a consultancy firm, was abducted and killed on March 18, 2009, after she was dropped by her office cab around 4 am near her home in Vasant Vihar in South Delhi. Her body was recovered three days later near Surajkund in Haryana. The trial court had held the three men guilty of the offences of murder, abduction, robbery, forgery and common intention under IPC. Kapoor was also convicted for using firearms under the Arms Act.